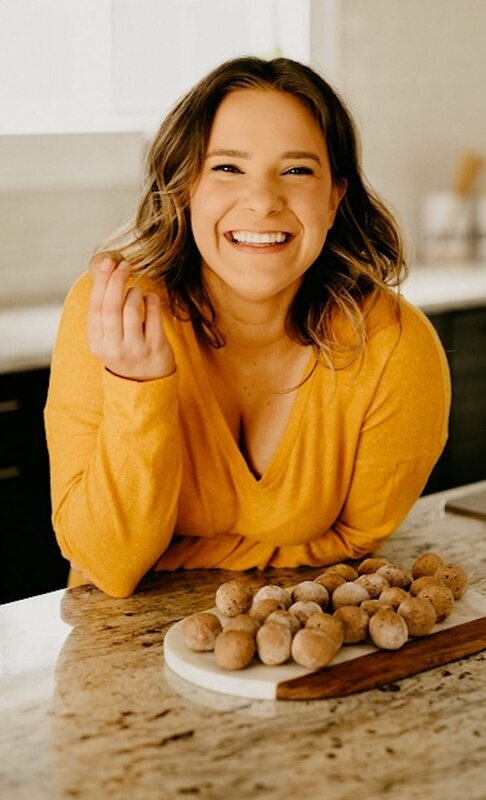 French Toast Fat Bombs are the keto dessert recipe you NEED to try! These little low-carb goodies are so delicious and easy to make! 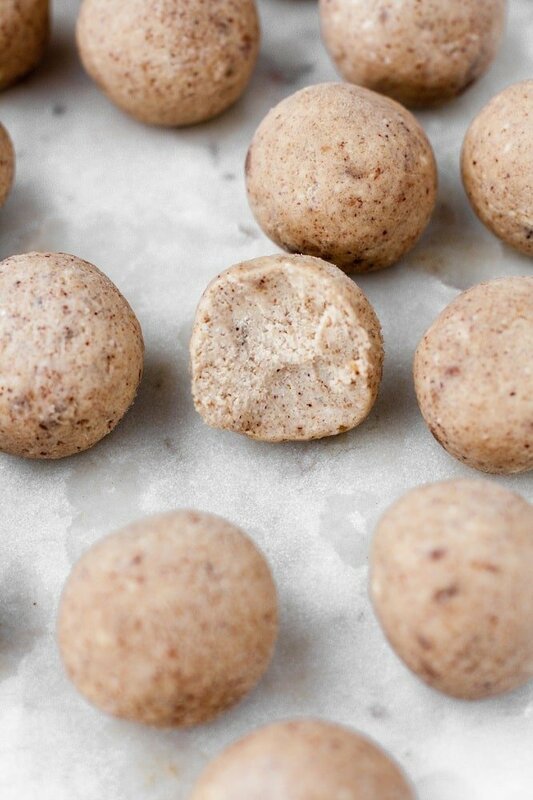 Even better, one fat bomb contains less than 0.8g net carbs, so you can happily enjoy a few and remain in ketosis! Why French Toast Fat Bombs? In the Real Balanced household, we LOVE ketogenic desserts. Ryan and I both have an ongoing sweet tooth, so I love to develop new dessert recipes for us to enjoy that are low in carbohydrates but that taste amazing! 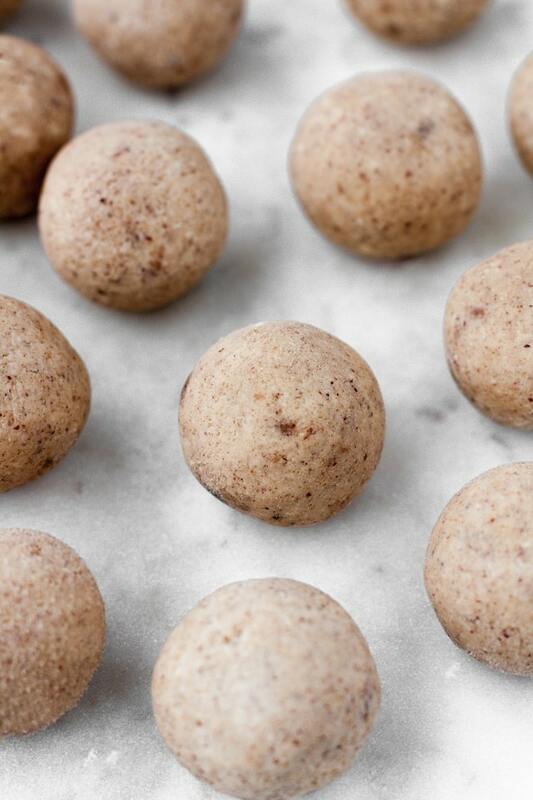 Fat bombs always fit the bill perfectly, especially considering how simple they are to make! 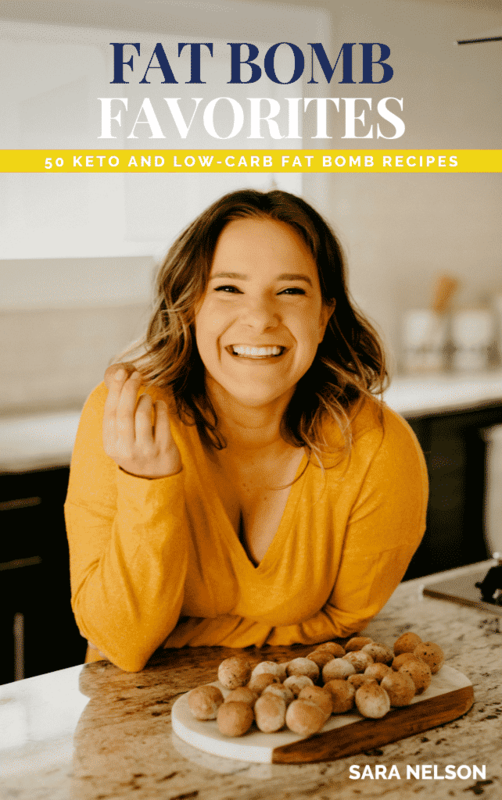 Aside from the fact that fat bombs taste delicious and are easy to prepare, they also tremendously satiate hunger, curb cravings, and provide a boost of energy to get through the day! 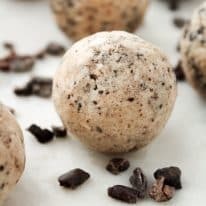 These fat bombs, in particular, are a great midday snack as they are ultra low-carb! These French Toast Fat Bombs are made with Maple-Flavored Syrup, low-carb cream cheese, maple extract, and almond butter (or SunButter for a nut-free alternative!) and taste like a bite-sized piece of french toast! Like many of my other fat bomb recipes, these French Toast Fat Bombs are made with Lakanto Golden Monk Fruit Sweetener. Additionally, this recipe features another Lakanto product, their delicious Maple-Flavored Syrup! If you have been thinking about trying some Lakanto products, I highly suggest both the Golden Monk Fruit Sweetener and the Maple-Flavored Syrup. You can use the code “REALBALANCED” for 20% off your Lakanto order! Keto and Low-Carb: These French Toast Fat Bombs are incredibly low in carbs and are perfect for a ketogenic diet lifestyle! One fat bomb contains only 0.8 gram of net carbs. 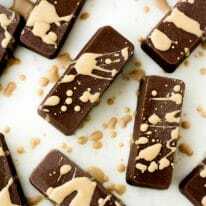 Coconut-Free: This recipe for French Toast Fat Bombs are made without any coconut-containing ingredients. Gluten-Free and Grain-Free: This recipe is free from both gluten and grains. Vegetarian: These fat bomb bars are vegetarian-friendly. 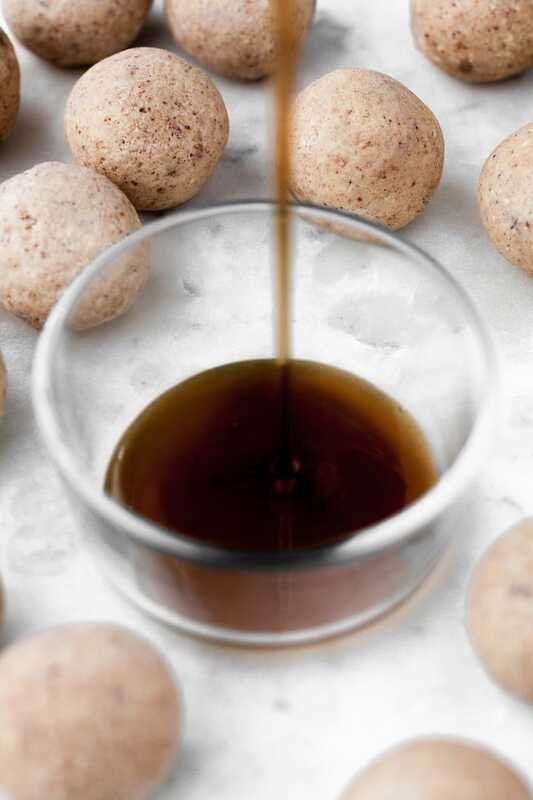 Refined-Sugar-Free: Made with Lakanto Monk Fruit Sweetener and Lakanto Maple-Flavored Syrup, these fat bombs are free from refined-sugar. One fat bomb contains 0.8 gram of net carbs. These French Toast Fat Bombs are a delicious ketogenic treat to satisfy your sweet tooth! 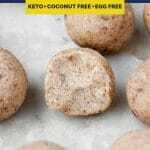 With only 0.8g net carbs per serving, these fat bombs are keto, low-carb, coconut-free, gluten-free, grain-free, vegetarian, and refined-sugar-free! In a mixing bowl, using an electric mixer, mix all ingredients until well-combined. Freeze mixture for 30 minutes. 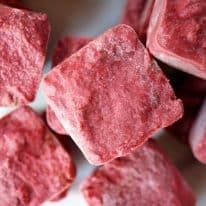 Harden fat bombs in freezer for 45 minutes. Enjoy! Made these and they are fantastic! So glad you enjoyed, Kelly!!! Thank you for your feedback! Twice you say the one of the fst bombs is 0.8 carbs. Yet in the nutrtion box it says 6.7, which i assume is the tital for all 24 servings and not just one. Either way it doesnt add up. Which is accurate? Total carbs – fiber = net carbs. 6.7g – 5.9g = 0.8 grams net carbs. Each fat bomb is 0.8 grams net carbs.